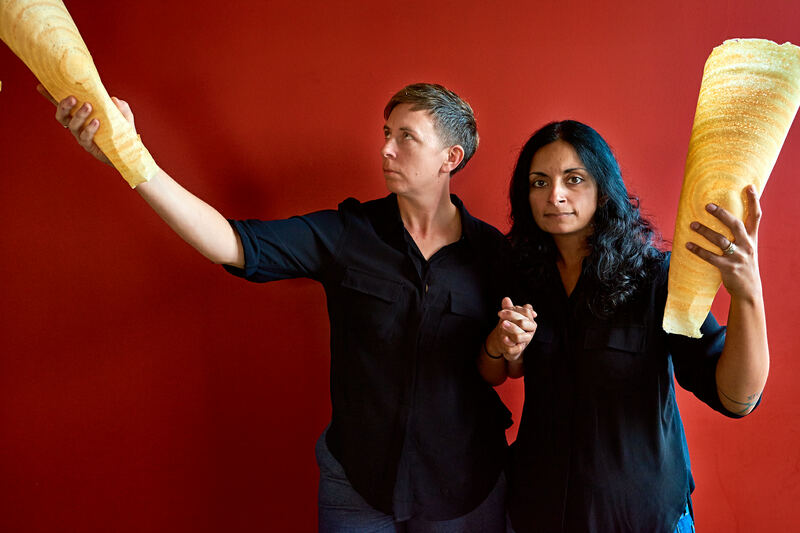 “She fell for the South Indian, then the South Indian food.” A phrase heard often at Tiffin Asha, this is how Sheila Bommakanti describes how Chef Elizabeth Golay began cooking the cuisine. The two met in Seattle, where Golay returned after graduating from California Culinary Academy. Intrigued by this, Bommakanti (whose family is from Andhra Pradesh) asked Golay if she had ever tasted South Indian food. The rest, as they say, is history. 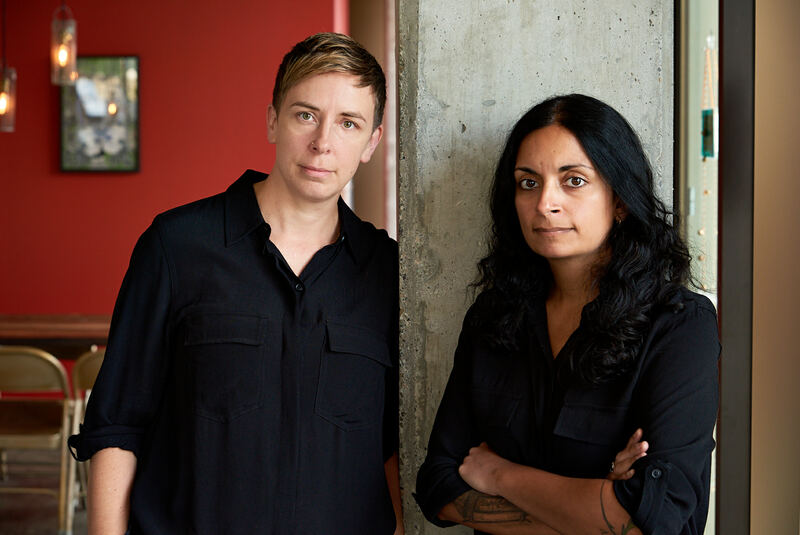 They moved to Boston in 2006 where Sheila studied at Suffolk Law School, and Elizabeth started working under James Beard awarded Chef Ana Sortun at Oleana in Cambridge. During her time at Oleana she found Chef Sortun’s passion for Eastern Mediterranean food inspiring which sparked her interest to start her own business that would later become Tiffin Asha, dedicated to the food and flavors of South India. In 2009 Elizabeth and Sheila were married, and Bommakanti graduated from law school. At this time they decided it was time to move back to the NW. Back in Seattle, Elizabeth spent the next few years at Poppy working for Jerry Traunfeld in Seattle as pastry assistant, and later leaving with the position of Pastry Chef. 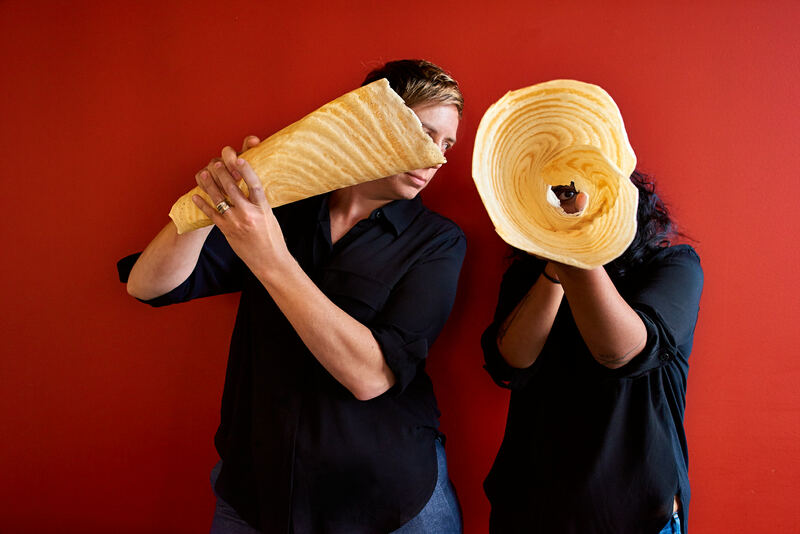 Elizabeth Golay opened Tiffin Asha in Portland, Oregon as a food cart in May 2013. As “Asha” means hope or wish, Golay’s wish to open her own business serving a cuisine that inspires her was finally realized. Bommakanti left her career as a civil rights attorney to work alongside Golay full time in June 2014, joining forces to make Elizabeth’s dream a reality. Bommakanti explains, “There are many ways to be an activist. For us, part of that is creating a safe space in our community, where all are welcome, where people can enjoy this style of comfort food in a comfortable place.” Tiffin Asha finally went brick and mortar in January 2017. One could say the restaurant is a cross-cultural reflection of their relationship, and the love and respect one would have when marrying into another culture. So it follows you will find the traditional elements of South Indian cooking at Tiffin Asha, as Bommakanti grew up with this food. But they arrive with a twist, reflecting Chef Golay’s culinary training, love and respect for the culture. “Indian food in America has been branded for years to look a certain way.